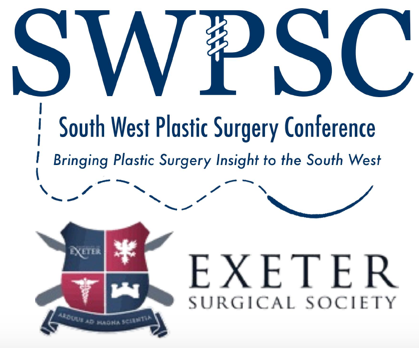 The 2nd Annual National South South West Plastic Surgery Conference, "Bringing Plastic Surgery Insight to the South West" will take place on Saturday 2nd March 2019 at the Research Innovation Learning and Development Building (RLID), Royal Devon and Exter NHS Foundation Trust. It intends to provide the delegate with an insight into the field of plastic surgery and subspecialities. The day will comprise of a series of keynote talks delivered by nationally-renowned specialists in the field. In addition, practical workshops in common plastic surgery skills, including knot-tying, basic suturing and tendon repair, as well as a plastic surgical portfolio-building workshop. This year the society are proud to welcome their keynote speaker, Mr Peter Saxby, Retired Consultant Plastic Surgeon, and Founder of the Exeter Plastic Surgery Unit. To overcome the barrier of access to plastic surgery opportunities in the South West and across the UK. Deadline for Abstract Submissions : 14th February 2019. Retired Consultant Plastic and Reconstructive Surgeon Royal Devon and Exeter Hospital NHS Foundation Trust; Founder Exeter Plastic Surgery Unit. Plastic and Reconstructive Surgeon, Department of Plastic and Reconstructive Surgery, Oxford University Hospitals NHS Foundation Trust. Associate Professor & Clinical Lead Anatomy Discipline Group, Consultant Plastic, Reconstructive & Hand Surgeon, University of Exeter College of Medicine and Health. Derriford Hospital, University Hospitals Plymouth NHS Foundation Trust; Founder Plymouth Sarcoma Unit. Royal Devon and Exeter Hospital NHS Foundation Trust. NIHR Academic Clinical Fellow in Plastic Surgery, University of Oxford. 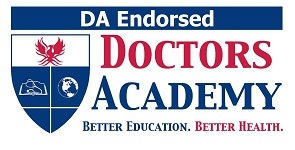 Copyright © 2018 Doctors Academy.